In this video, Chemist III Paul Zackery discusses Tapemark's dissolution testing capabilities. Here at Tapemark, we take great pride in our lab services as they give us a competitive advantage against the competition. We employ a number of different ways to account for our different sized parts and products. Watch the video to learn more about our in-house lab and its services. [Transcript] "I'm Paul Zackery, a Chemistry III here at Tapemark, and I'm going to talk a little bit today about the dissolution capabilities that we have on site. Dissolution is an important test that we use to determine the correlation between in vivo and in vitro testing. The dissolution apparatus provides an in vitro correlation to bioavailability studies performed at our clinics. 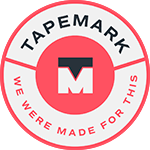 The capabilities at Tapemark include apparatus one, which is a rotating basket, apparatus two, which is a rotating paddle, apparatus 5, which is a rotating paddle over a disk, and apparatus six, which is a rotating cylinder. We have two configuration to allow for the different sizes in our transdermal patches. We also have the capabilities to run apparatus seven, which is a newer form of reciprocating cylinder that allows for better analysis for transdermal parts. We employ a number of different ways to account for our different sized parts in transdermal films, transdermal patches, and buccal films. The smaller cylinders are typically used for buccal film products in the smaller baskets. We also have the capabilities to run larger samples and are in a more typical larger vessel. Our apparatuses are also equipped with auto samplers. If necessary, we can also perform it manually by pulling through a cannula."